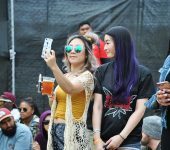 Photos by Asia Morris and Steven Castellanos Jr.
More than 20 years after the three-year run that was the Smokin’ Grooves Tour, the one-day festival at the Queen Mary was a sold-out event that seemed to present a new version of the 1996 agenda to bring “peace, tolerance, self-esteem, fondness for marijuana and giant thudding bass lines” to the masses, according to this New York Times review of one of the first tour dates. 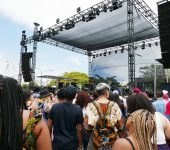 Back then, Smokin’ Grooves was a six-week tour sponsored by the House of Blues, featuring acts such as the Fugees, Ziggy Marley, Cypress Hill and A Tribe Called Quest. 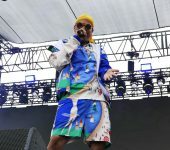 Going against concert industry odds and the public perception at the time that live rap, hip-hop shows elicited violence, House of Blues co-founder Isaac Tigrett and then-William Morris agent Cara Lewis helped make it happen, according to the Los Angeles Times. 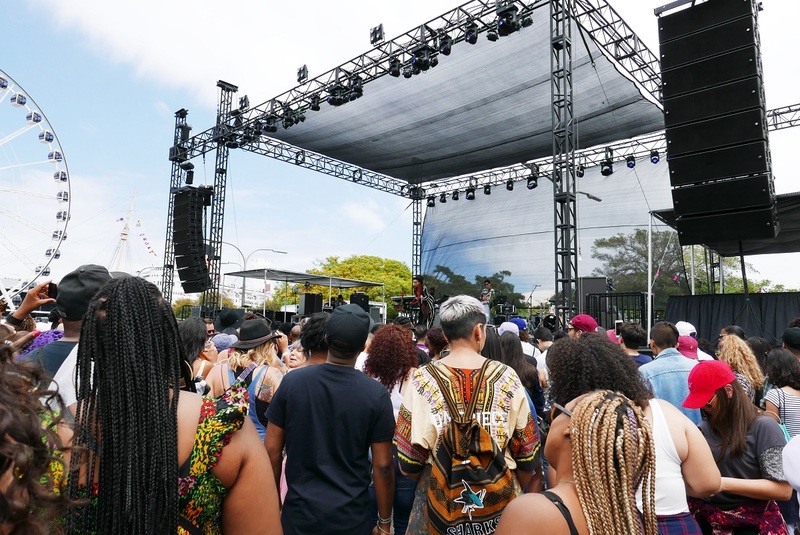 Smokin’ Grooves was revitalized in 2002, bringing headliners Outkast, Lauryn Hill and the Roots to the stage. 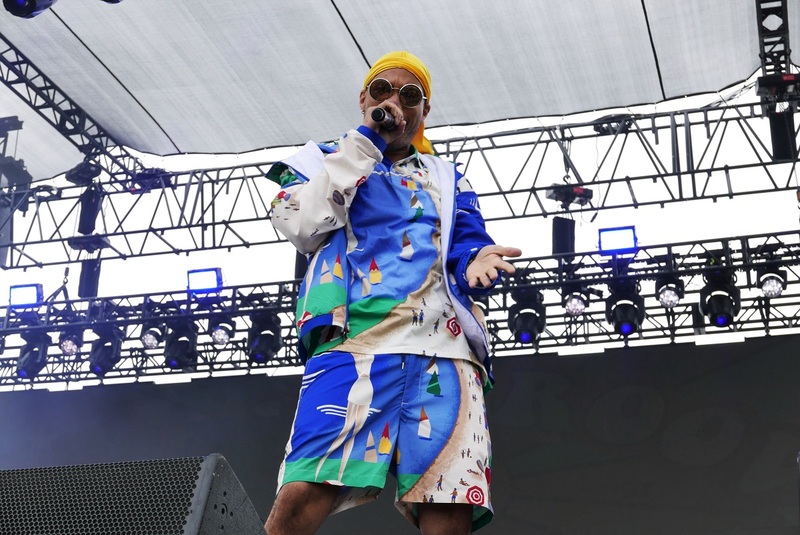 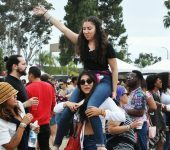 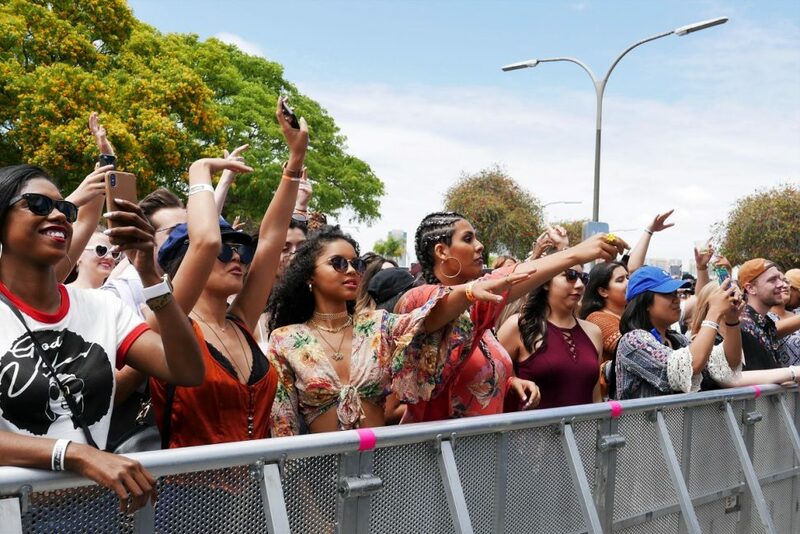 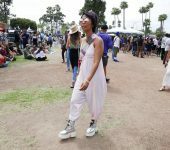 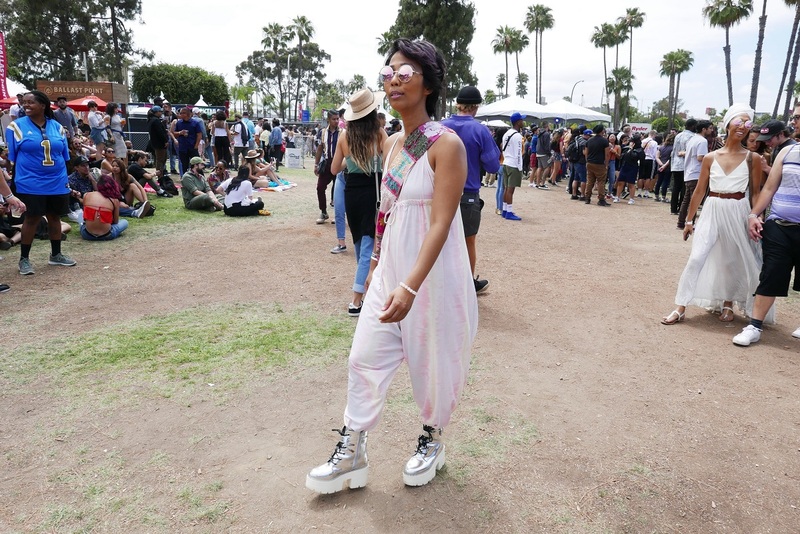 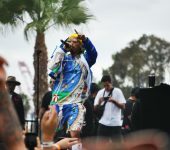 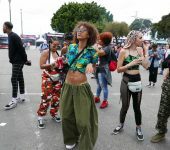 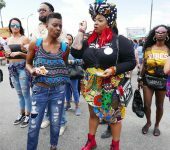 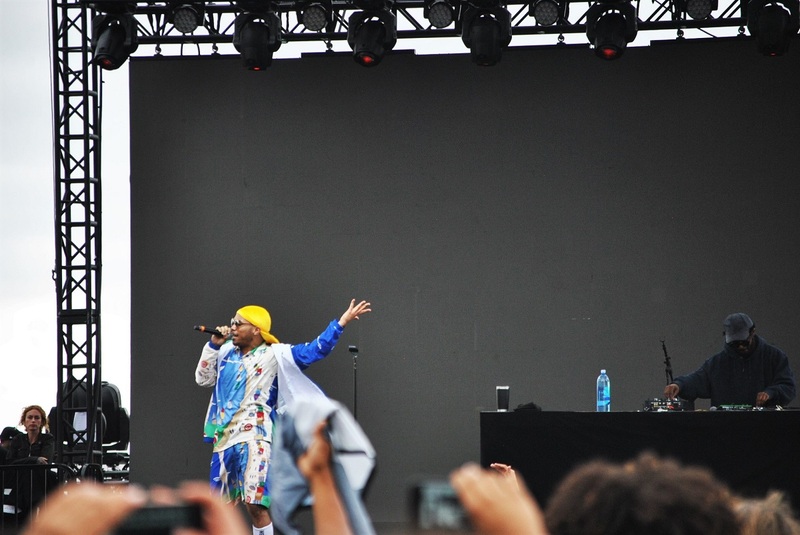 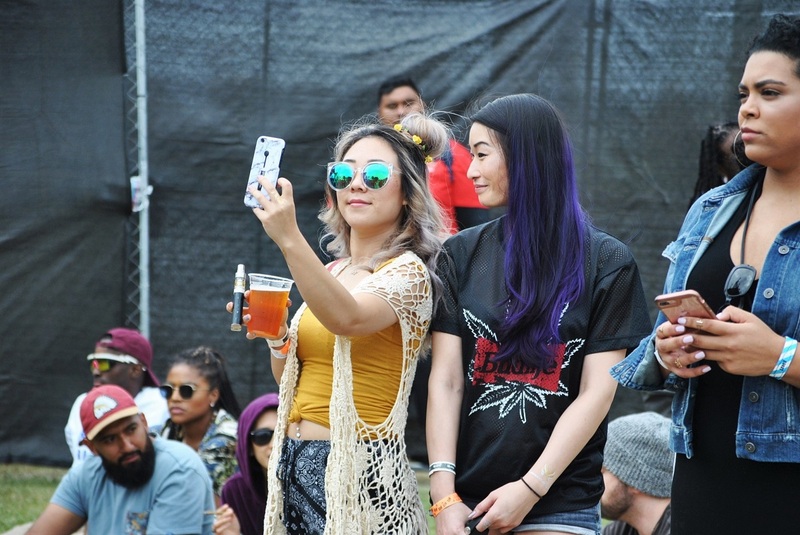 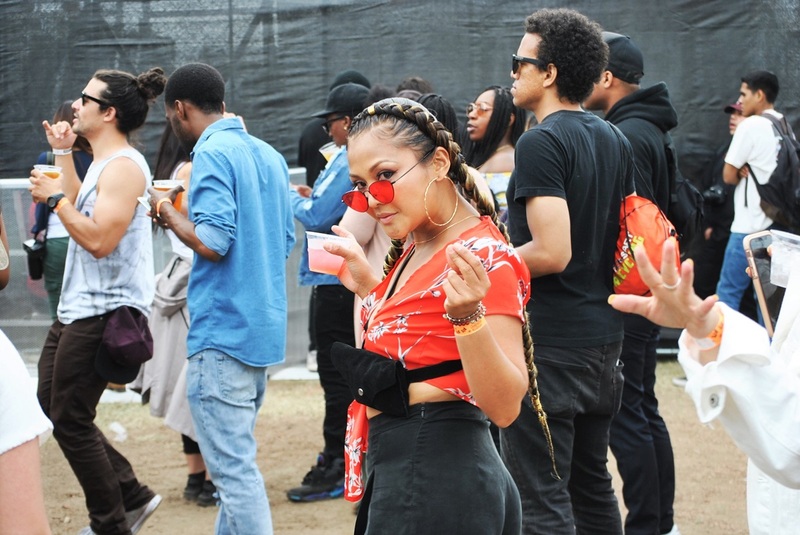 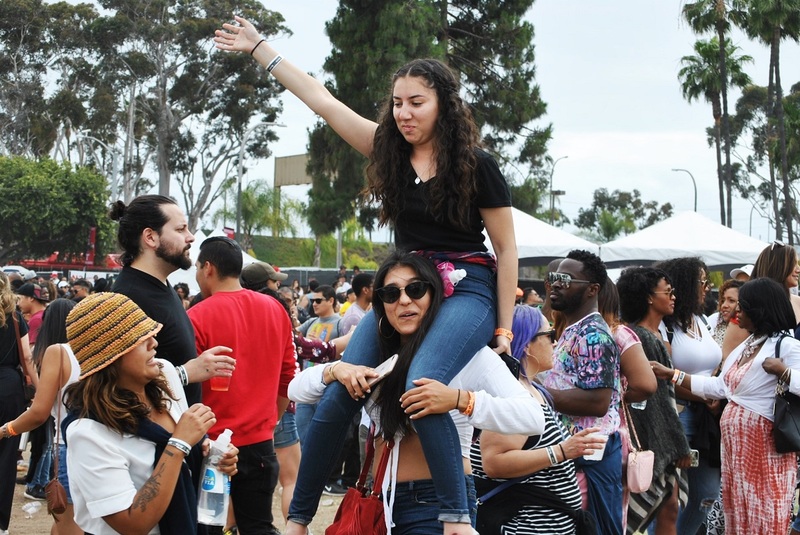 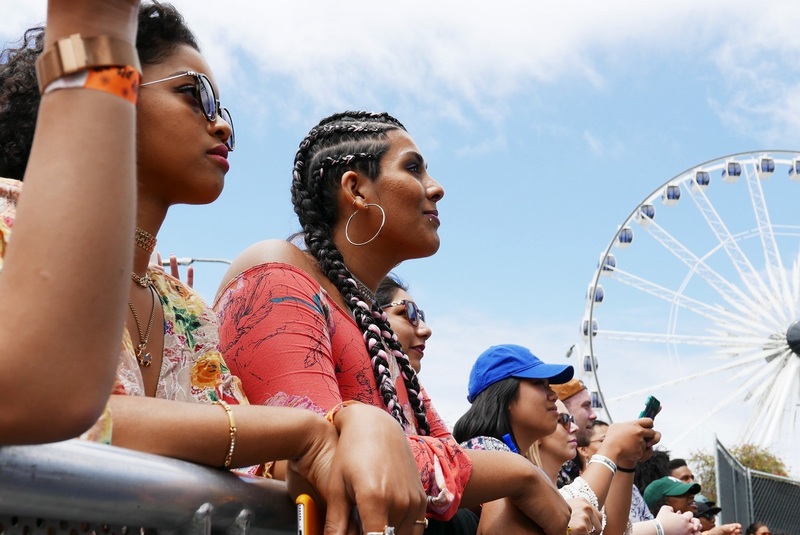 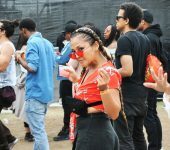 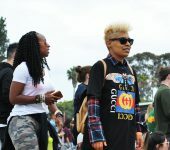 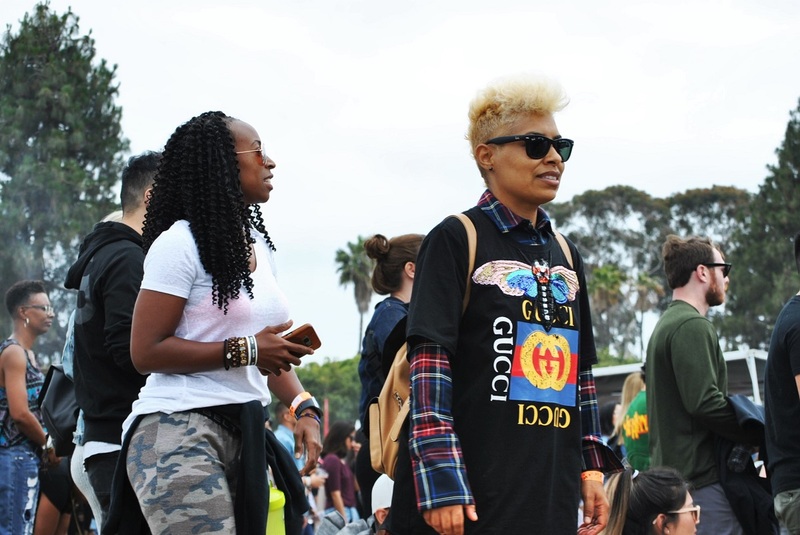 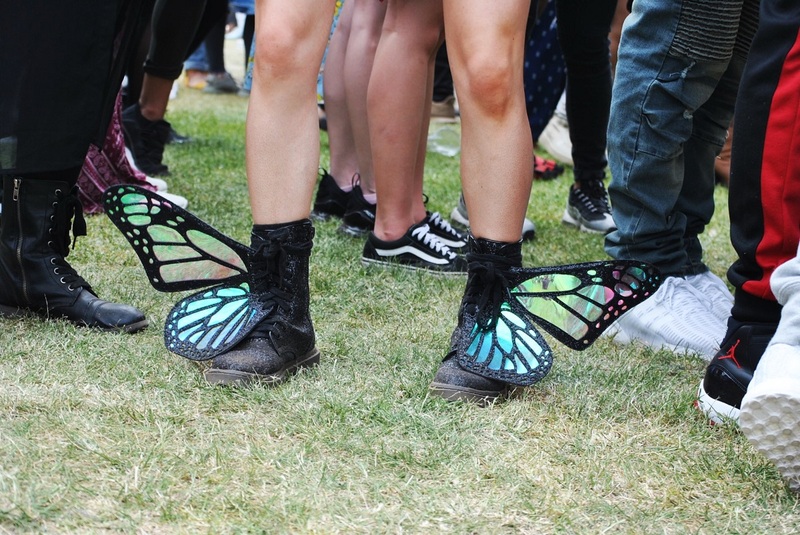 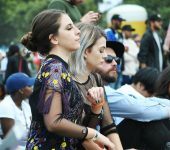 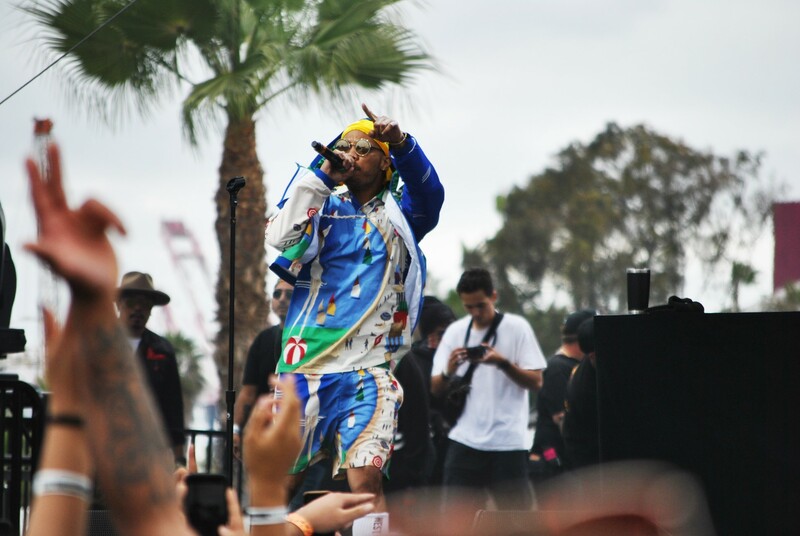 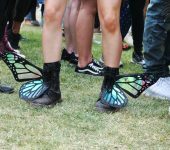 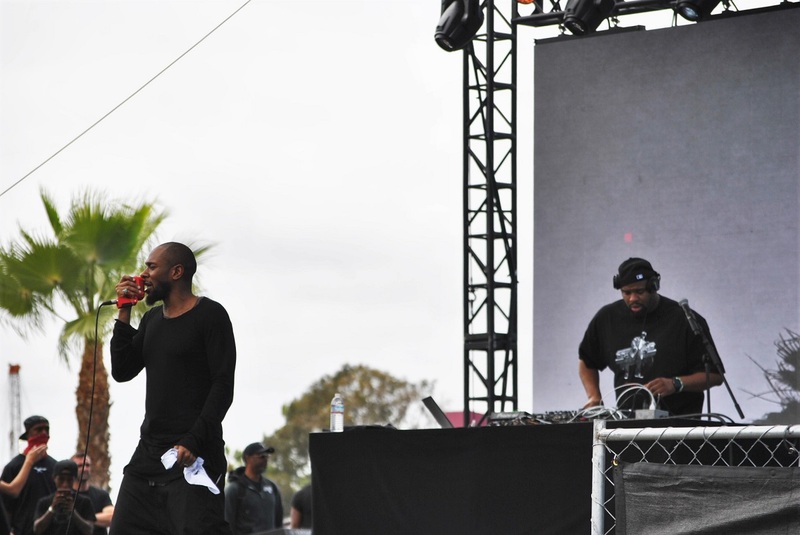 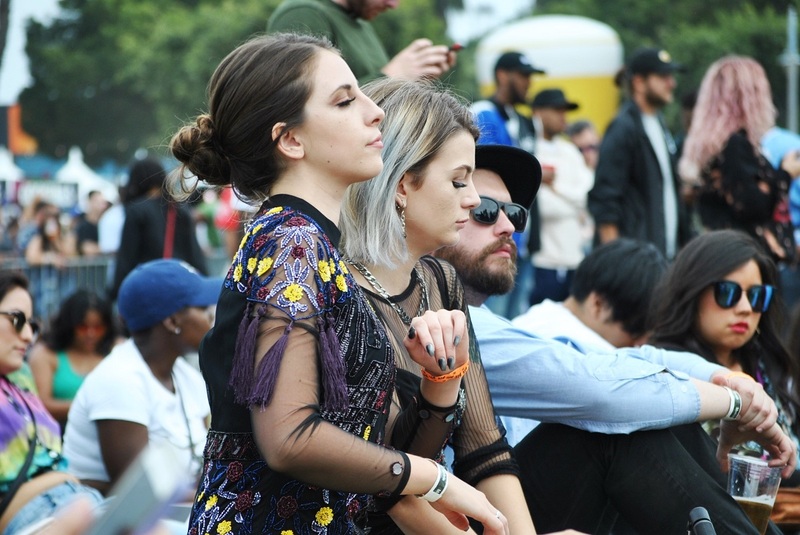 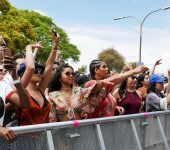 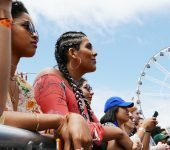 The version presented at the Queen Mary events park on Saturday, organized by Goldenvoice, as well as Lewis, according to Pitchfork, featured Erykah Badu, Miguel, Jhené Aiko, NxWorries (Anderson Paak + Knxwledge), the Roots and more. 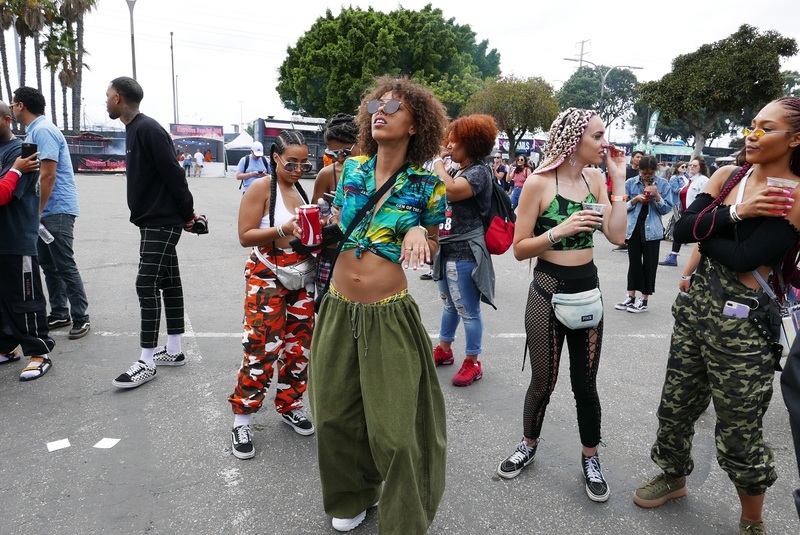 Lion Babe (pictured above), a New York-based emerging R&B duo comprised of singer Jillian Hervey and producer Lucas Goodman, performed at the Smokin’ Stage for entranced fans early in the day, despite a few technical difficulties at the start of their set. 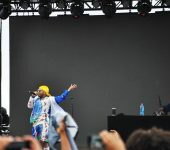 The audience encouraged Hervey as she sang a capella, determined to entertain as the stage crew worked out the kinks. 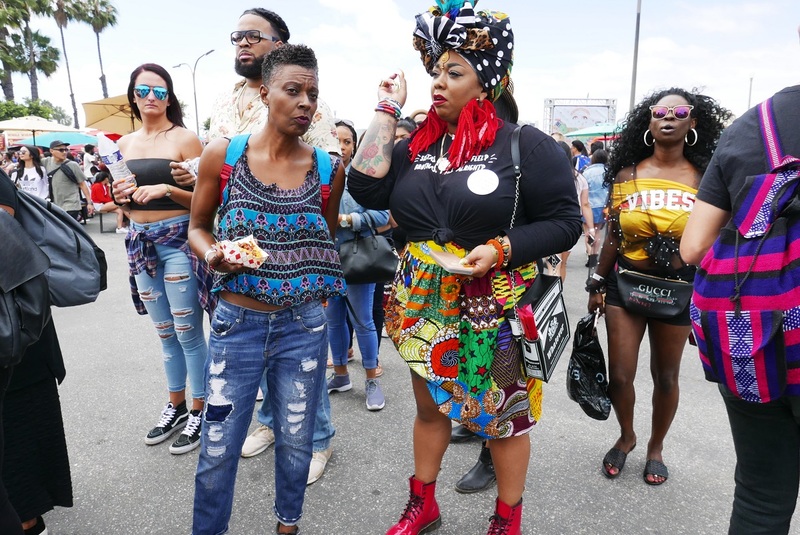 Hervey said her outfit was inspired by the history of the Queen Mary, as she was initially informed that the festival would take place on the actual ocean liner, not in the park beside it. 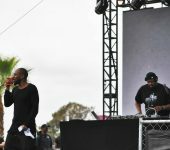 “We always like to give a story, just pay some respect to where we are, because this is such a cool place to be able to play,” Hervey said.